With wife Moka pregnant with baby no. 2, Aaron hopes to have more kids but will respect her decision. 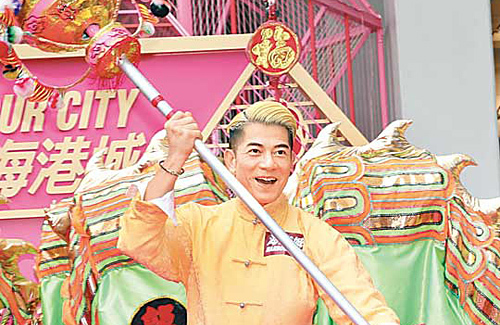 Appearing in Tsim Sha Tsui for a Lunar New Year event, Aaron Kwok (郭富城) reveals that his year ahead has already been lined up with many activities. In addition to starring in four movies as well as commercial shoots, he hopes to break his 100-show record with his upcoming “De Aa Kode World Tour 2019 Concert” <舞林密碼>. While he used to be happy being preoccupied with work and career commitments in the past, Aaron has realized that enjoying family life and having kids around are a great joy too.